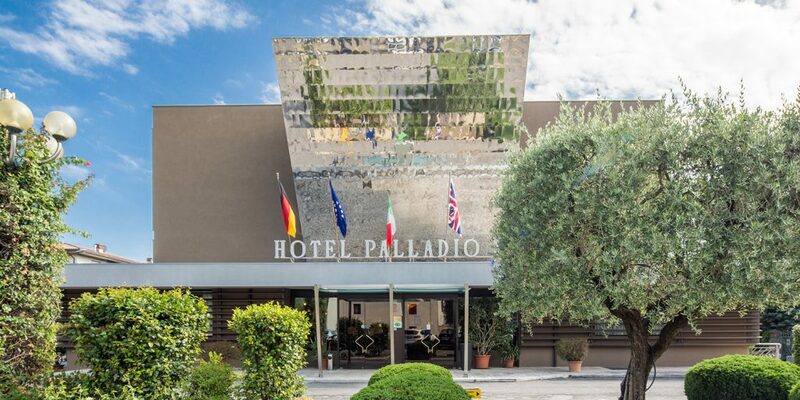 The BONOTTO Hotel Palladio **** is strategically located nerby the city center, only a few steps from the ancient city walls and the famous wooden bridge called “Ponte Vecchio”. A Comfort Hotel, with functional indoor spaces located in a peaceful area of the town, overlooking the majestic Mount Grappa. Welcoming and roomy spaces invite you to a comfortable and pleasant stay. All 66 rooms are double-bedded, equipped with all facilities, including a large marble bathroom. Our 40-square-meter ‘Superior’ rooms add a coffee-maker and a VIP courtesy set. Born as a MEETING CENTER, the Palladio Hotel provides 8 meeting rooms fitted out with hi-tech equipments. Take a 2- minutes walk to Restaurant B38, the flagship of our Hospitality: typical Venetian cuisine and a mild touch of creativity, always enhancing the authentic flavors of our local products. Multimedia services and Internet connection: Free WI-FI in all the Hotel. ADLS connection in room and Internet on TV (on payment) Free Internet Point in the lobby. Pay TV in the room. SKY Sport in Hotel Bar.